What kind of impression do you want your customers to have of your business? For The Northernettes new single “Danger”, a video has been produced depicting the group as fugitive femmes fatales, on the run from the law. We were asked to contribute some prop newspapers, containing police photography of the three girls that could also double up as social media and promotional imagery. 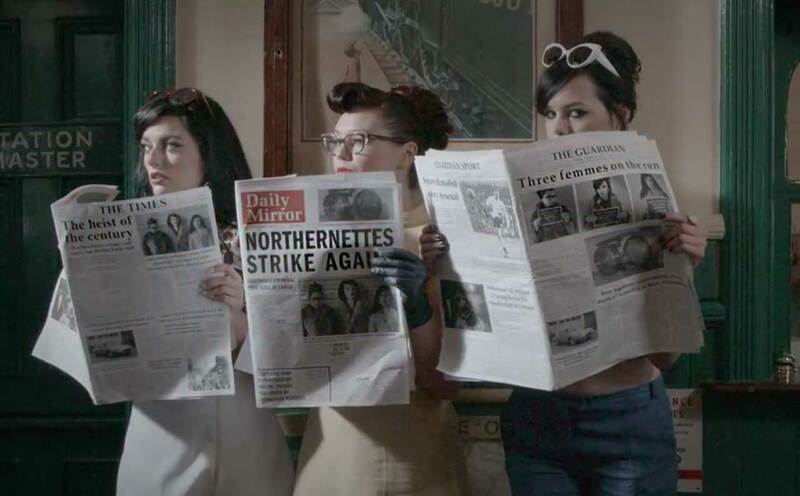 The video is set in a non-specific but probably late sixties time period, so the design of the newspapers and the photographic treatment had to reflect that. There were three newspapers: The Times, The Guardian, and The Daily Mirror. All three were checked against their counterparts of the time for masthead and layout styles; as time was tight and the camera was unlikely to linger too long we approximated the styles without being too slavish with the detail. Suffice to say that they looked close enough to their historical versions to convince within the video, and we added some extra headlines, subheads and standfirsts to complete the illusion. The Northernettes’ police mugshots were done by taking the original iPhone photos sent to me by the girls separately, cutting them out of their respective backgrounds, and positioning them on consistent backdrops with the arrest boards dropped in over the sheets of A4 paper they were holding as position guides. Adjustment layers altering colour and contrast, plus a texture simulating scratches and chemical marks from old film completed the transformation. 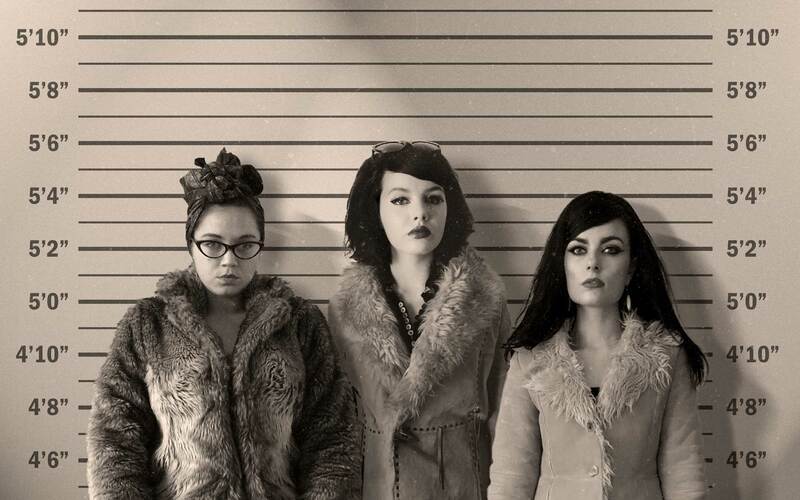 The final element was the Usual Suspects-style line-up, to use as a group shot. As with the three mugshots, it was a case of cutting The Northernettes out of their original environments, and combining them in a new, entirely created one complete with lighting effects, shadows, and film defects. All relatively simple, but a highly effective way of enhancing the reality within the video and also providing some excellent social media collateral when the video and song are launched. For more Northernettes work, go to the portfolio page. Sputnik is the portfolio site of graphic designer & creative consultant Jason Regan, trading as Sputnik Media Limited, providing design & creative direction for print, digital and live events.